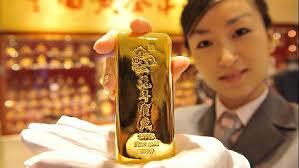 Is China moving closer to a yuan based gold currency? China is making moves to launch a yuan gold fix by the end of 2015. According to Reuters China is setting up plans via the Shanghai Gold Exchange (SGE) to give the world's biggest gold producer a bigger say in the currency market with a view to possibly replacing the US dollars with the yuan as the reserve currency of the financial world in the now not too distant future. Still a long way off of course but with SGE being the world's biggest physical bullion exchange a fix to be set through trading on the SGE is very much on the cards. "We will be introducing a renminbi-denominated fix at the right moment, we are hoping to introduce by the end of the year," Shen Gang, SGE's vice president, said at the LBMA Bullion Market Forum in Shanghai recently. Pan Gongsheng, a deputy governor of the People's Bank of China (PBOC), said the bank would continue to support "a speedy and healthy growth of the China gold market" and its internationalisation giving support to the Chinese central bank giving its approval for the fix. China has been on a campaign to accumulate sufficient gold through production, purchase of gold on the open (and possibly black) market and the purchase of gold mines around the globe. This is a prime time for China to make its mark in the gold bullion and currency markets with the recent London Gold fix now undergoing scrutiny for alleged price manipulation. With an influential yuan gold fix China would have the opportunity to not only 'compel local buyers and foreign suppliers to pay the domestic yuan price, making the London fix less relevant in the world's biggest bullion market' but also reduce the uncomfortable billions of USA trade dollars held by China. Initially it is likely both systems will co-exist even though China has been making strenuous efforts to increase the influence of the yuan in global gold markets, one stage of which has been the Bank of China joining the London Gold price benchmarking process. Other Chinese banks, such as the Commercial Bank of China Ltd for example, have also express an interest in joining the process and it is certain they will join China's yuan gold fix. Only recently the SGE submitted the details of the fixing process, including the rules and regulations for participants, to the PBOC a few weeks ago. According to Reuters one source claimed, "They may approve it anytime now." Details of the fix are still unrevealed but in all likelihood would be derived from contracts traded on the bourse, with the SGE acting as the central counterparty making for a more transparent process, one of the main issues with the London Fix. The yuan fix is the most recent effort by China through the SGE to position China's influence further in the global gold market and we can expect the campaign to continue until China achieves it purpose of being a, if not the, dominant gold fixer and the yuan the main currency of the financial markets. What is gold short selling? I am often asked what is gold short selling? It is simply a process by which banks will sell gold they do not have at one price and buy back at a different price. It is called manipulation and banks do this with various commodities in order to increase their profit margin. Let's use peanuts to illustrate how this works. You could do it the simple way by buying up lots of peanuts and waiting for the price to go up and, if it does then selling those peanuts and thereby make a profit. The price can come down of course and one would then make a loss. Banks don't like making a loss so they ensure they don't with a technique called short selling. This technique ensures they make vast profits from increment differences in price. In any transaction one usually is in control of one side of the transaction, either the buyer or the seller. In this scenario however one is operating on both sides of the transaction and is both the buyer and the seller. Obvious you might say but it is important in understanding the next step. This is done by selling the product or commodity one does not yet own with the intend you will buy it back at a later time for a lower price. This can be understood better when you realise that many companies sell products they do not have. Amazon for examples promotes and advertises and sells books and other merchandise they do not own. In this case they act as an agent for the real seller, rather like a retailer. Amazon does keep some stock but very often they do not keep the book you are buying. They simply buy the book and on sell it to you or refer the order to the seller and make a commission on the deal. The point is that they receive a payment for a product they do not have. "Investors start an account with a broker. It is called a margin account ... The margin is required to ensure that the shorted stock can be returned to the borrower. After an account is set up, the investor is ready to short stock or gold in the market. However, the short seller usually sells or dumps his pretend gold very quickly. As he does not actually have any gold in the first place he loses nothing in selling for less than the current market value. This causes the price to drop and others in the market to follow suit and sell also at a lower price, and the price drops even further. Others dutifully follow thinking that the value of the commodity is dropping. In fact it isn't. Joe is simply dumping his pretend stock or gold at a reduced price. As a result of his initiative and by his deliberate action of 'selling' below the market price, he is now controlling both sides of the transaction. " It is a simple matter, once the price has fallen to buy the stock he sold but at a lower price thereby making a profit on the difference. Note that no actual gold changes hands. It is all done on paper. This can be, and is being, done with millions of tonnes of gold that do not actually exist. Some of the biggest banks are involved in this activity. If you find this hard to understand, look at it like this. You go to a local greengrocer and find the price of peanuts is a dollar a kilo. You talk to the owner of the store and tell him you can sell him a thousand kilos of peanuts for 50 cents a kilo if you he can pay you up front. As it is so cheap the store owner jumps at this and pays you the 500 dollars for the peanuts. He then announces he is selling peanuts for 70 cents a kilo and you make sure that the word gets around that the price of peanuts is depressed. Soon the price drops to 45 cents a kilo and you buy up your 1000 kilos and deliver them to the dealer for the 50 cents thereby making 5 cents a kilo on the peanuts. Not much you might say, but this is peanuts after all. When you are making a couple of cents an ounce on millions of tonnes of non-existent gold every day, you can see where this becomes serious money. An example of how short selling can overtake the market. At one point last year silver was shorted to such a high value that more than all the silver currently in the world was traded in one move. All done on paper of course as there was not that much silver in existence, let alone 'owned' by the trader doing the short selling. This is making a profit out of thin air. Nice work if you can get it but I would not call it ethical. Almost everyone has some understanding and appreciation of gold. A bright shiny soft malleable metal with a melting point of 1063 degrees Celsius, it is commonly used in jewellery, in exciting gold rushes around ther world and stored in glittering gold bars in bank vaults as storage for a nation's wealth. It is considered valuable not just because of its rarity, there are many other metals and minerals far rarer and even most valuable than gold, Platinum, Diamonds and Uranium for example, but because it seems to have an attraction outside of logical understanding. A magic undefined quality of attraction many people and even countries seem unable to resist. But there are other very valid reasons to buy gold. Gold has survived many cultural societies, wars, economic downturns and upturns and has always been considered an asset of value. It has often been used as a basis for a countries monetary system, although for the past 35 years or so it has been dropped in favour of paper currency as a way for governments to exert more manipulation and control over their currency of choice. . The first recorded use of it is in Varna, Bulgaria around 5000 BC and there is evidence of a gold/silver ratio value in the code of Menes, founder of the first Egyptian Dynasty. Gold has been used as a symbol of wealth and prosperity and continued, throughout the centuries, to hold its value. This value never changes. The amount of currency used to buy or sell gold may change but the inherent value of gold does not. For example, the price of a very good quality man's suit has risen over the past 50 years from about 30 dollars to around 1000 dollars. Remarkably this increase in price does not apply to gold. One can still buy a good quality man's suit today for the same amount of gold as one could 50 years ago, slightly less than one ounce of pure gold at the time of writing. The value of gold has not changed during that time. Only the amount of dollars required to buy or sell it. Gold is a survivor. Gold is useful in many ways. Apart from its value as storage of asset, it is also used in coins of exchange and collection, jewellery, industry, medical, electronic components and other areas. Gold is resistant to corrosion so is an excellent conductor for high end electronic equipment and components. Gold is so malleable one ounce of pure gold can be beaten so thin that 250,000 sheets and would just about come to an inch thick. Such gold leaf is used for the decoration of picture frames, Statues, architecture and ornaments. One can even eat gold, although not in large quantities of course. Gold was use for food decoration in Medieval Europe and one can still buy Goldwasser a herbal liqueur manufactured in Gdansk Poland containing gold. There is also the most expensive cocktail with gold you can buy, about a thousand dollars a glass. Gold has value. You may have seen, in the news, the varying gold price displayed. In fact this is not the price of gold changing. It is the price of gold futures on the gold futures market. This is what various dealers in gold expect the price to be at some time in the future. It is a misnomer in that the value of gold does not change but the quantity of dollars needed to buy and sell gold does on a regular instant by instant basis depending on various factors such as the value of currency, how much is traded and the changing world economic conditions. The spot price of gold is the price at which gold is bought and sold on the COMEX futures trading board. Recently Asia has started to have more influence over the price of gold and the buying and selling of gold on the Shanghai Gold Exchange has begun to influence the price of gold on a daily basis. There are, for investment and storage of asset purposes, a number of different forms of gold. 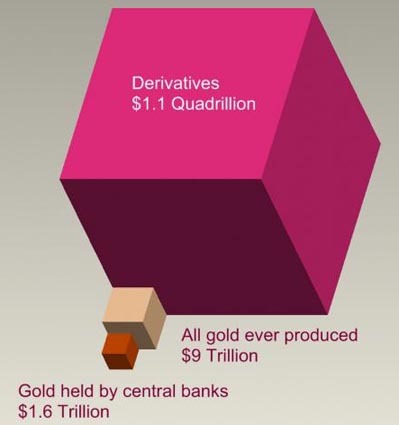 Probably the most common is gold bullion. 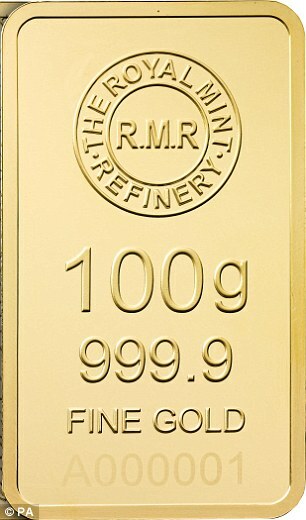 Bullion is defined as gold bars, silver bars, other precious metals bars or ingots. The word bullion comes from the old French word bouillon, which meant "boiling" and was the term for a mint or melting house. In recent years, the term bullion has also been used to describe ingots or bars of base metals such as copper, nickel and aluminium. Usually you will find gold bullion in the form of ingots or bars. Ingots and bars should be 24 carat pure gold. Gold is divided into 24 parts. If all parts are gold then it is considered pure. Quite often, for durability and price reasons, gold is mixed with other, usually harder, metals and so a lesser carat will be displayed. 12 carat for example is half gold and half another metal, often silver. Nine carat, used in the cheaper range of jewelry reduces the price markedly as there is less than half the amount of gold contained within. Counties, banks and high net worth individual often store wealth in gold bars. These are usually 400 ounce bars as favoured in such exciting movies as 'The Italian Job'. However, one can buy smaller bars of ten and one ounce and even down to what are called 'biscuits' and these may be a few grams or less. With the larger gold bars it is rare for them to be moved around and usually there is simply a change of ownership with the bars remaining in the vault. One can buy gold bullion in the form of coinage also, usually in the form of one ounce coins such as krugerrands, the Canadian Gold Maple and the US Gold dollar coin. Apart from the magical quality of attraction gold has there are other very sound reasons to buy gold. Its ability to store wealth, particularly in the long term is very valuable. Although the price may vary the actual value of gold and so ones asset or wealth remains the same. 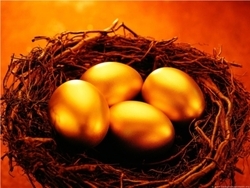 Gold is not an investment; it is a method of storing wealth. While Stocks and shares, property and just plain currency and subject to fluctuations with management and political decisions, changes in interest rates and economic variations, gold never changes its value and has kept true to its value for centuries, making it an ideal way to store wealth. In times of emergency gold can be a valuable asset. If the value of currency drops and other asset fall, a loss of wealth can occur. Gold can be quickly retrieved from storage and used to exchange for goods or services and even currency if needed. It keeps its value, All very good reasons to buy gold. 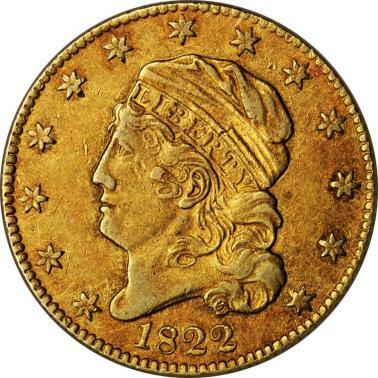 An 1822 Half Eagle five-dollar gold piece, one of only three known to exist, photo courtesy of PCGS. (Reuters) - A rare five-dollar gold piece and a prized silver dollar each could fetch $10 million or more in upcoming auctions, making the American rare coin market as attractive, though not nearly as glamorous, as fine art. Sales of rare U.S. coins reached a record of nearly $536 million last year, and now collectors are turning to the D. Brent Pogue Collection, which could boost it higher. Gathered over more than 30 years by Texas property developer A. Mack Pogue and his son, D. Brent, it is considered the most valuable collection of federal American coins dating from the 1790s to the late 1830s in private hands. An 1822 Half Eagle five-dollar gold piece, one of only three known to exist, and an 1804 Silver Dollar dubbed the "King of American Coins" are expected to be among the top lots when the collection is sold in a series of auctions in New York beginning in May and continuing into 2017. "These two coins in particular, we think, have a possibility of being up around that $10 million mark," Brian Kendrella, the president of Stack's Bowers Galleries, told Reuters. The rare coin and currency auctioneer, which is handling the sales with Sotheby's, believes the coins could shatter the $10 million record set in 2013 for a 1794 Silver Dollar. Is the Shanghai Gold Exchange heading for a gold fix? Sources within the Shanghai Gold Exchange (SGE) indicate there is a distinct possibility the SGE will be the platform for a Yuan controlled gold fix sometime this year (2015). This move seem ostensibly to bring more transparency to the gold fixing market, but more likely perhaps to increase China's influence in the currency market with the yuan instead of the dollar. The idea is that the Chinese benchmark would be derived from a new one kilo contract soon to be launched according to a source reporting to Reuters recently. This unnamed source stated, "We need a renminbi benchmark for Chinese producers and foreign suppliers to the market. This renminbi gold benchmark can be complementary to the U.S. dollar gold-fixing in London." The contract would only be traded for a few minutes each day settling all trades, but that, it seems, would be sufficient to show transparency. The opening of the silver exchange last year has shown that the SGE can bring influence to bear on what has often been called a strangulated market. And to pile on the pressure this week the Switzerland's competition commission said it was also looking into possible gold price manipulation. So the transparency offered by the Chinese Government will be welcomed by many. Some barriers will need to be resolved, for example the fact that the yuan is not convertible in terms of international acceptance, however trades and settlement can be effected offshore to give foreign banks and others the opportunity to participate. "However, the fact that the Chinese price-setting would be done through an exchange could comfort some as it would be more transparent," A source stated. "There won't be any chance of malpractice on this platform." Gold has a turnover of around 150 billion dollars a day, the highest of all precious metals. And the new LBMA Gold price fix will be launched on the 20th of March with the price being set twice a day at 1030 GMT and 1500 GMT in the three main currencies, dollars euros and sterling. "The launch of the new LBMA Gold Price on 20 March means that all four precious metal prices will be on electronic auction platforms," said Ruth Crowell, Chief Executive of the LBMA. The silver market switched over on the 15th of August 2014 year with a platform run by CME Group Inc. CME +0.45% (CME) and Thomson Reuters Corp.TRI.T -0.83% (TRI). The Palladium and Platinum markets live on December the first 2014. "As regular customers of the fix, we think it's vital the market gets this kind of clarity on how this key price-point is changing," said Adrian Ash, head of research at BullionVault.com, an online marketplace for gold and silver investors. The benchmark will be set through an electronic platform managed by contract winner, ICE Benchmark Administration. The LBMA still holds the intellectual property rights to the fixes, but IBA, will likely charge a fee for private access to the price data to help offset their costs an informed source stated. A diverse range of interest in the market use the gold price fix to settle contracts when buying and selling gold. It also assists in setting benchmarks for jewellery prices and derivative contracts. The move to electronic platforms is meant to allay fears of gold price fixing after the Libor debacle and this is being received in the arena with some confidence. "While you can't legislate against human nature - especially where derivatives betting entices traders to try and game the underlying market - the tighter controls and stronger record-keeping will better enable rogue orders to be spotted and sanctioned,' said Mr. Ash. But it is not known how many of them will continue to 'participate' in the gold price after 20th March. Ban on gold coins and medallions lifted by the Indian Reserve Bank. According to the Economic Times the RBI has now lifted a previously issued ban on gold coins and medallions imported into India by banks and trading houses and banks are now allowed to import gold on a consignment basis. But, the Reserve Bank, however, had received repeated requests for some clarification on the guidelines on gold importation and has had to issue some clarification. 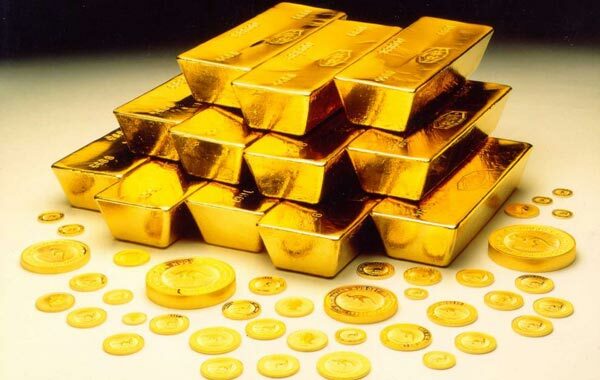 It issued the following statement: "While the import of gold coins and medallions will no longer be prohibited, pending further review, the restrictions on banks in selling gold coins and medallions are not being removed" the reserve bank stated. In a poor attempt to reduce the widening current account deficit (CAD) the Central bank banned the importation of gold coins and medallions in August 2013. However this has not prevented India still being one of the major importers of gold and this was accepted with the removal of the ban in November last year (2014). Gold imports surged by 8.13 per cent year-on-year to $1.55 billion in January on easing of restrictions by the RBI the Economic Time reported. India is still the largest importer of gold, principally to fill the demand of jewellery industry. Just goes to show there is gold everywhere. 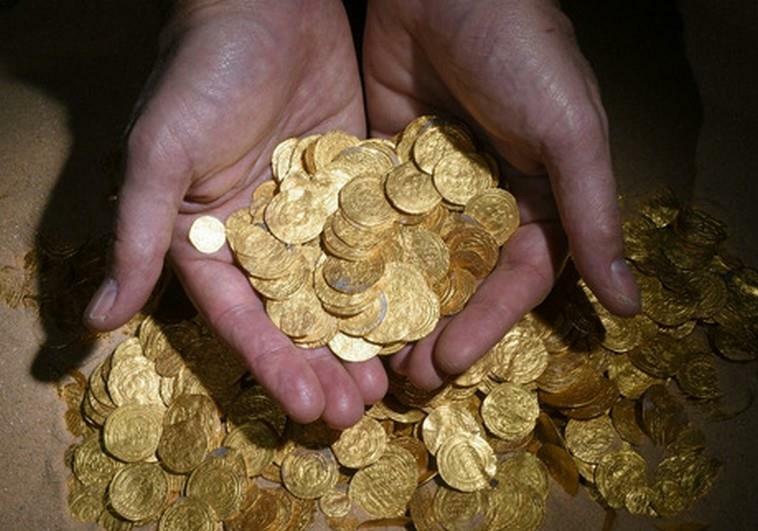 Divers searching the ancient harbour port of Caesarea National Park have discovered 2000 gold coins from the 11th Century. The divers, from the diving club discovered the coins simply resting on the sea bed of a dinar, half dinar and quarter dinar in various sizes and weights. The coins, from the Fatimid period, were discovered with a simple metal detector. "There is probably a shipwreck near the find of an official Fatimid treasury boat which was on its way to the central government in Cairo after collecting taxes." Said Kobi Sharvit, director of the Marine Archaeology Unit of the Israel Antiquities Authority, It is thought the coins were sent to pay the salaries of the Fatimid military garrison stationed in Caesarea. Sharvit said of the divers, "They discovered the gold and have a heart of gold that loves the country and its history," he said. The IAA reported that the earliest coin exposed in the treasure is a quarter dinar minted in Palermo, Sicily in the second half of the ninth century CE. Most of the discovered coins belong to the Fatimid caliphs Al-kim (9961021 CE) and his son Al-hir (10211036), and were minted in Egypt and North Africa. According to the Israel Post, "Robert Cole, an expert numismaticist with the IAA said the coins are in an excellent state of preservation, and despite the fact they were at the bottom of the sea for about a thousand years, they did not require any cleaning or conservation intervention from the metallurgical laboratory." He said, "Several of the coins that were found in the assemblage were bent and exhibit teeth and bite marks, evidence they were 'physically' inspected by their owners or the merchants." Greek demand for gold is increasing as the political upheaval continues in Greece. 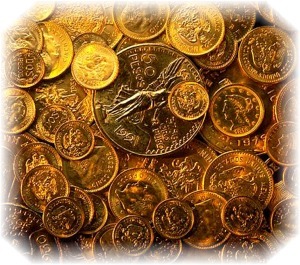 The demand for gold coins has increase with more purchases of gold sovereigns from the UK Royal Mint. In January 5849, gold sovereigns were sold. A significant increase over the 7857 sold in the last quarter of 2014. According to Lisa Elward, Head of bullion sales at the Royal Mint, "There has been a noticeable increase in demand in this last quarter. We tend to see an upsurge in sales at times of political and financial uncertainty." With the nation now heading to a standoff with creditors over the international bailout program, there is speculation the nation will break off its membership with the euro and return to the Drachma. Gold is seen as a solid hedge during these turbulent times. "The one thing everyone knows about gold is it is a good thing to hold if your currency is about to devalue," said Matthew Turner, an analyst at Macquarie Bank Ltd. "It would be understandable for Greeks to buy gold because they are afraid of losing their money." Significantly withdrawals from Greek banks reached 15 billion euros ($17.2 billion) in the run-up to the elections that returned the anti-austerity Syriza party to power. This may even play a part in golds significant rise of 4.7 percent this year when traditionally it is in the doldrums. The Director of CoinInvest, Daniel Mar burger recently reported increase gold sales during the elections in January. The new gold fixing system is due to begin in March this year with the London Gold Fix undergoing a complete overhaul. However there are fears the same messy launch of the silver fix will dog this one when the system is set to go into operation. The London bullion Market Association (LMBA) is worried that the guidelines on how the system will be regulated have still not been received. "Without clear guidance from the FCA now and forthcoming final rules, participants will be unable to gain internal approval to take part in the new process," the LBMA said in a letter to the FCA. "If a significant number of participants cannot get approval to take part due to lack of regulatory clarity, there will be a disruption. "We announced a consultation on 22nd December into the seven benchmarks we would be regulating, which included the gold fix. That consultation closed on 30th January and we have said we intend to come forward with final rules before the end of the first quarter 2015."" The recent scandals with Barclay's, fined millions of dollars for gold price fixing and the Swiss UBS for a similar breach of trust, have highlighted the importance of a transparent system of gold price fixing, Something that will probably not come anytime soon even with the regulations proposed by the FCA. It appears the main fear is that the Singapore Gold Exchange (SGE) will overtake London as the central hub of the gold market world-wide. The SGE has been steadily increasing its influence over the gold price since its inception and this may be the impetus that is causing the franticness to get this new gold fixing in place. China along with 10 other members, with a representation of over 25 percent is seen as a potential buffer against the SGE steady but influential rise in the gold price arena. The new system will not rely on the traditional phone call system that has been in place since 1919 but will be replaced by a more modern state of the art electronic system. This is no guarantee of the transparency of the gold price fixing however since most of the decision making will still be made by member banks of the LMBA. Not the best friend of gold as we know. Whether this will be enough to prevent the SGE influence from significantly taking over the gold price we will see. Can gold solve your financial problems? Attempts to keep the gold low despite the obvious rise are hitting a barrier with China, India and Russia now buying up all the gold available from the West. China is buying up like crazy on the Shanghai Gold Exchange with 70 tonnes of gold withdrawn in one week and with the Chinese New Year now pending, gold buying is expected to be an all-time high. India of course is keeping up its end and with the relaxation of import duty gold buying is on the increase. And Russia, determined not to be left behind, is also shoring up its gold buying by purchasing gold for a ninth straight month, likely contributing to the price of gold rising for the first time in five months, according to the International Monetary Fund recently. Russia has added 20.73 tonnes to its gold holdings and now ranks as the world's fifth-biggest gold holdings county, bringing its total to 1,208.23 tonnes. It's not all guns and roses however, James Turk of Gold Money recently stated on KingWorldNews, "We should not be too surprised that gold and silver have begun the week with some downward price pressure, Eric. The Greek election results are now known, so there has been some "buy the rumor, sell the news" pressure from that." Asia and the East have been on a buying spree for some time now. As the west frantically tries to bolster its currency with printing presses the East is quietly buying up all the gold it can get its hands on. Thailand will soon have its own gold exchange or Bourse. However a dispute over management and shareholding has been holding up the works. In addition the approval of the Finance Ministry and the Bank of Thailand has still not been given for the creation of the spot gold market (SGM). 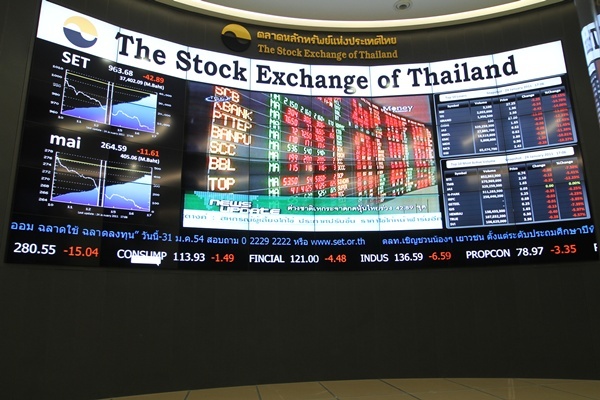 The Stock Exchange of Thailand (SET) considers the setting up of a spot gold exchange to be essential to its mission to become the leading exchange in Asia. An easy organic law can be created by The Finance ministry to allow the market to be priced and settled in major currencies including the US dollar but it may be it is waiting for the Bank of Thailand to give its blessing. The Bank of Thailand has stated it needs time to consider allowing trading in dollars. Kesara Manchusree, the President of SET, confirmed the initial fund for the setup of setting up the SGM was 1 billion baht. Much as in other Bourse's the SET will provide the trading platform including administration, clearing and settlements while gold traders will supply deliver of the gold. The President and Chief Executive of Ausiris, a paper gold dealer on the Thailand Futures exchange, Boonlert Siripatvanich, said that gold traders agreed to be a part of SET on the 'expectation' it would assist to boost their trading volume. "In my opinion, gold traders will have an active role in the new exchange as we will be market makers, a task that the SET is unable to do. However, we are still waiting for further details," said Mr Boonlert Jitti Tangsithpakdi, chairman of the Gold Traders Association (GTA), "Look at the Agricultural Futures Exchange of Thailand. It failed in the end and had to merge into the TFEX. The new exchange will not succeed without cooperation from professional traders," he said. Gold seems set to become the currency of choice as more and more Asian nations open up gold exchanges and it is likely they will be trading with each other in greater volume over the coming years. There's gold in the bonny banks of Scotland! Seems you can find gold most anywhere these days. The tiny village of Tyndrum a couple of hours north of Edinburgh and Glasgow hides a treasure trove of gold. Although more famous for its Green Welly Stop restaurant and shop the village is gearing up for a minor gold rush. Scotgold resources Limited, an Australian mining company based in Sydney, is set to start up a Cononish commercial gold mine in the Scottish Grampians. 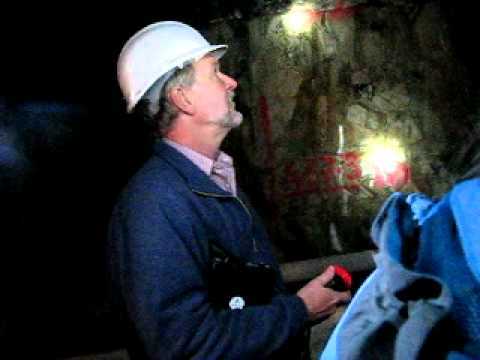 It is estimate there is 200 million pounds (about $AU400 million) worth of gold in an old Cononish mine that was excavated around the 1990. At the time the company as faltering and the price of gold low so it was not considered profitable to mine the gold. Now, with the gold price rising steadily (around 1300 USD an ounce currently), it is estimated 248,000 ounces can be extracted. A healthy 200 percent increase on the original estimate in 2012. The nearby village of Tyndrum is gearing up for a minor gold rush. Fiona Robertson, a partner in the Green Welly Stop, said: "It's good news if the mine is finally opened, but we have a history of people finding gold here." Over 50 full time jobs will also be created in the area when the mine opens. Three granted Exploration Licences (100% ownership) covering about 2,200 sq km in Central Scotland.